Luckily the Wolf was nowhere to be seen !! 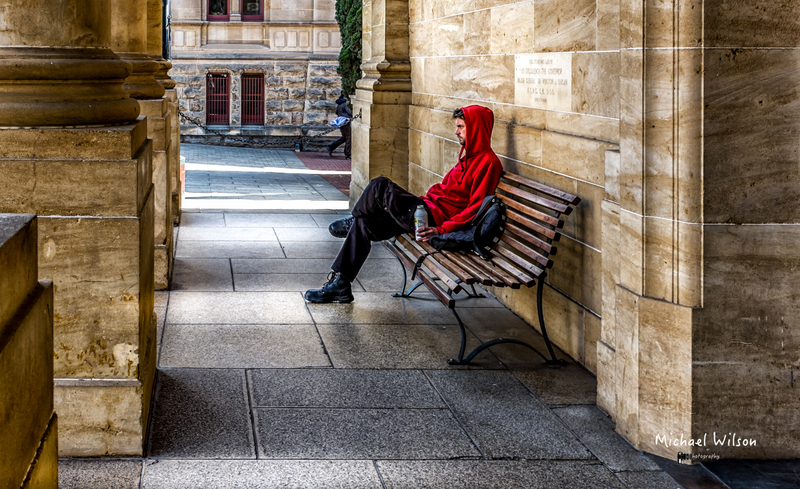 This entry was posted in Photography and tagged Adelaide, Adelaide Street Photography, architecture, colour, colour fx pro, Lightroom, North Terrace, People, Photography, Red, Street Photography. Bookmark the permalink. My compliments are only a reflection of your art…you are welcome. I really love your blog. You make such good photos. Amazing. Nice capture. Great post processing! I love this piece of art. Hey I already published a new nano story of one of your fantastic photos. Hoping that you like it. A big hug for your my friend. Cracking shot and tasty processing. Yes thanks maybe a little heavy handed ?